Leading off today: With so much talk these days about the virtues of being a multi-sport athlete, a Section 5 football coach found an interesting way to add some variety to offseason workouts. Taking note of the winter storm that dominated conversations for two days before arriving, longtime Gates Chili coach Jason Benham tweeted to his players that their workout regimen for Saturday through Monday would consist of shoveling out neighbors' driveways. His tweet resulted in more than 500 likes by Sunday morning and hopefully a bunch of cleared driveways and walks in my hometown. As is typical with many schools, Gates Chili generally doesn't run organized workouts on offseason weekends, but Benham saw this as an opportunity to motivate his teens. "It was just more or less, instead of staying home and playing video games, you go out and do something good," Benham told the Democrat and Chronicle. The "shovels instead of sit-ups" challenge wasn't original, however. Monroe (Ohio) football coach Bon Mullins pledged to call off a scheduled fitness workout for his players if the assisted a snowed-in neighbor earlier this month. Some 31 players participated. Wrestling update: The fields are set for the second annual NYSPHSAA dual-meet wresting championships in Syracuse, with Massapequa (Division I) and Tioga (Division II) being anointed top seeds by the state committee on Sunday. Mat 1: Massapequa, Minisink Valley and Sachem East. Mat 2: Spencerport, Fulton and Olean. Mat 3: Hilton, Horseheads and Shenendehowa. 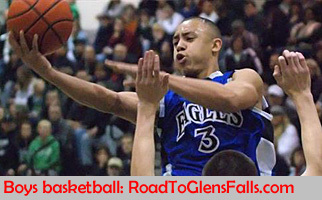 Mat 4: Niagara-Wheatfield, Chenango Forks and Fox Lane. Mat 5: Tioga, Seaford and Eldred/Liberty/Sullivan West. Mat 6: Pleasantville, Mount Sinai and Cold Spring Harbor. Mat 7: Peru, Central Valley Academy and Canisteo-Greenwood. Mat 8: Warrensburg, Saranac and Falconer. Niagara-Wheatfield and Spencerport, seeded second and fourth respectively, were selected as wildcards in Division I. Cold Spring Harbor and Peru, the No. 3 seed, made the field as Division II wildcards. Veteran coach steps down: Damon Nicholson resigned midway through his 22nd season as coach of the Romulus girls basketball team, the Finger Lakes Times reported. 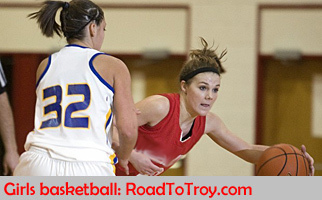 Nicholson stepped down the day after a 68-41 loss to rival South Seneca on Jan. 10, citing personal reasons. Nicholson was 293-160 with four Section 5 titles at Romulus, including 5-4 this season. His 2013-14 squad went undefeated en route to the New York State Public High School Athletic Association Class D championship. "It's been a great ride, but they all have to end at some point," he said. Assistant coach Charlie Luffman and AD Mike Pane will run the varsity the remainder of the season.